The CCP has created crossbreeds that defy expectations. 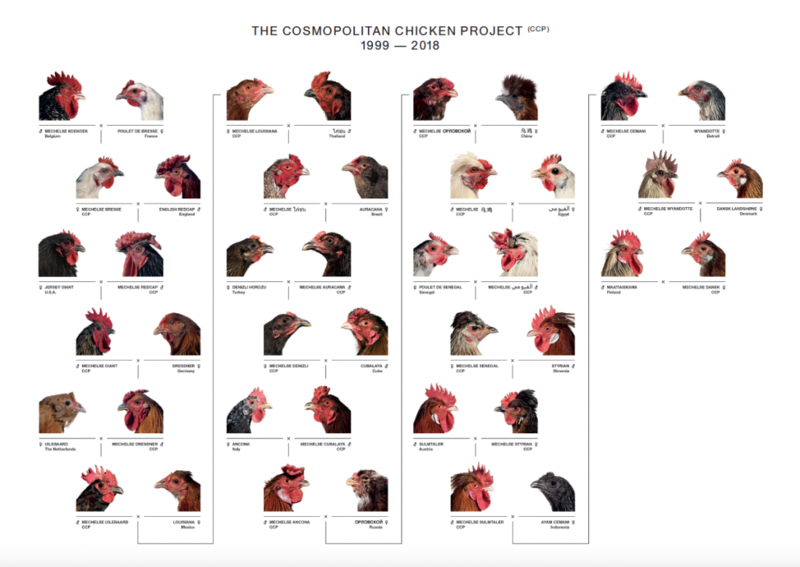 The Cosmopolitan Chicken Research Project (CC®P) studies them and confirmed Vanmechelen’s assumptions of the genetic enrichment through crossbreeding. Over the years, Vanmechelen’s hybrids have shown to be more resilient, live longer, be less susceptible to diseases, and exhibit less aggressive behaviour than their parental flock, making a clear case for the importance of genetic diversity. For his installation Arena de Evolución Koen Vanmechelen organized talks with an international group of scientists during the Havana Biennial in 2015. This led to the insight that the diversity of the Cosmopolitan Chicken must be returned to the local, often vulnerable, communities who are at the origin of the many breeds of chicken. Combining the global and the local, crossing diversity with productivity, enables a new, sustainable evolution. That is the Planetary Community Chicken, or PCC. Every PCC-generation is a cross between the latest generation of Cosmopolitan roosters and local, commercial hens. These chickens absorb the genetic pool of the CCP rooster and produce vital community chickens who can provide the communities it lives in with healthy eggs. The time is now. Even in richer countries the sudden halt of food supplies through calamities, wars, riots or climate change can lead to much misery. The need for food security and food independency of traditional industrial supply has played a pivotal role in the growing resurgence of small-scale agriculture, from raising homegrown vegetables to homebred animals. Every new crossbreed hatches in galleries and museums, spaces which invite public dialogue. Experimental labs are currently based in Belgium, Harare (Zimbabwe), and Addis Ababa (Ethiopia). The animals bring new diversity and food security to different urban communities. With this project, Vanmechelen takes the next step in positioning art categorically where it belongs: in the middle of society, engaged with people, always committed. 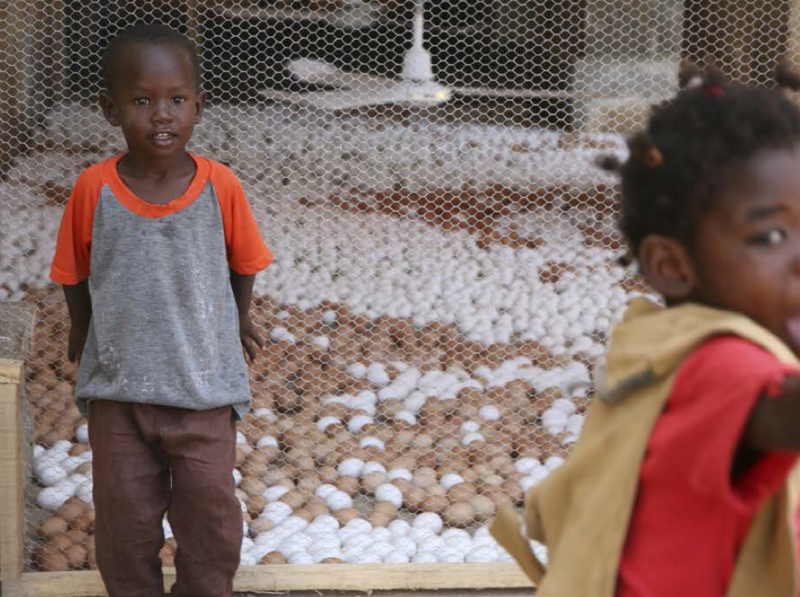 Serving as a metaphor for humanity and our relationship with the biological and cultural diversity of the earth, Vanmechelen’s work fits comfortably alongside that of Chido Govera – a Zimbabwean social entrepreneur and activist who he worked closely with to develop an ecosystem of chickens and mushrooms in which mushrooms are fed to chickens and the chicken waste is used to fertilise mushrooms. Called the Mushroom, Egg, Chicken, Camelids project (or MECC), it explores whether substances from one organism can migrate to the organism of another species. At the Design Indaba conference 2017,Vanmechelen brought the MECC project to life on stage, involving Govera and scientist Jean-Jacques Cassiman. 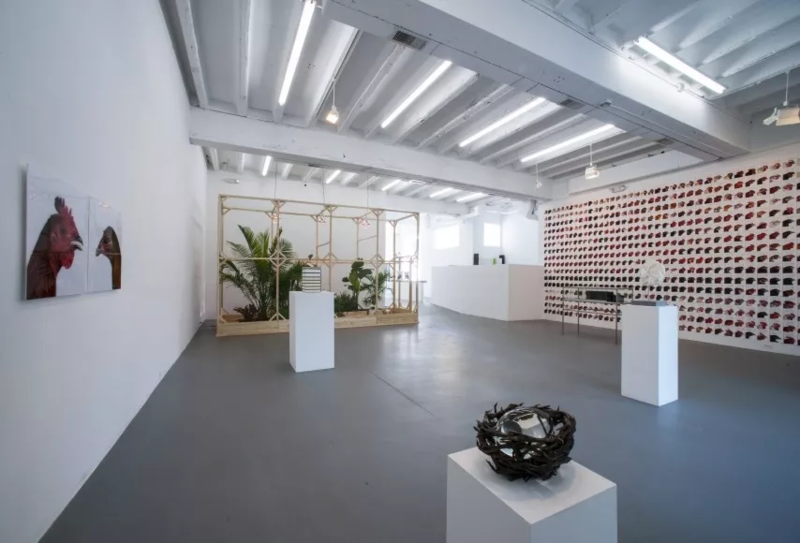 Through this propagation, he aims to show how man is part of the planetary superorganism and demonstrate our biocultural connection with other species. 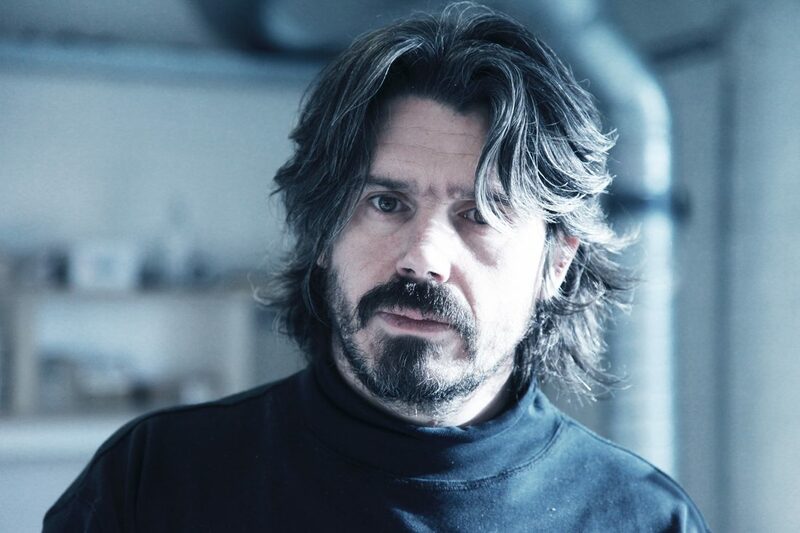 The Belgian artist Koen Vanmechelen is an internationally acclaimed conceptual artist. 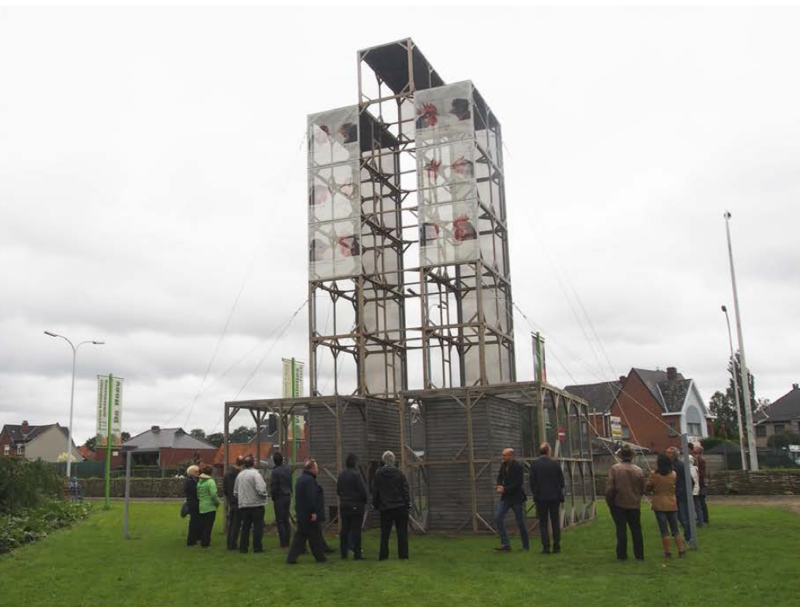 His work explores the importance of bio-cultural diversity, identity and community. 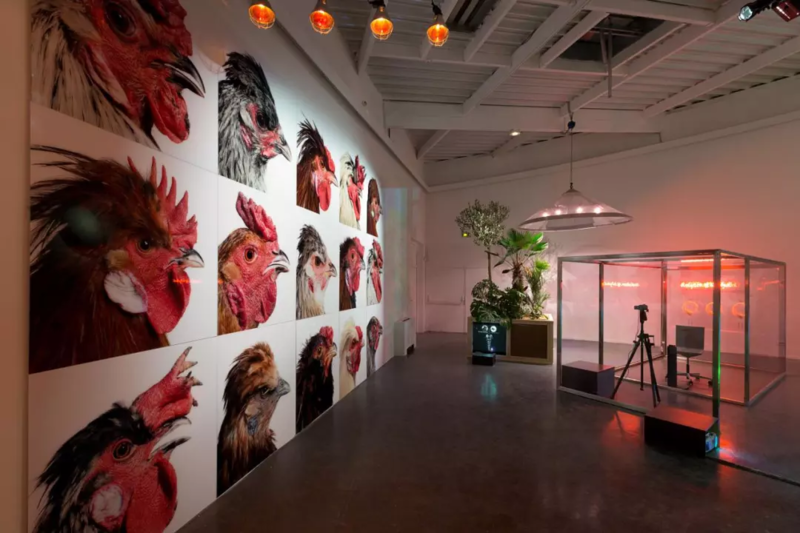 He is best known for his Cosmopolitan Chicken Project (CCP) in which he cross-breeds domesticated chickens from different countries as an allegorical and aesthetic statement about the way in which diversity can shape the global cultural and genetic mix. The artist’s scientific collaborations around the project have earned him numerous awards including the Golden Nica Hybrid Art award in 2013. Vanmechelen has presented his work on almost every continent and is a regular contributor to the Venice Biennale. From spring 2018, his headquarters is at LABIOMISTA, meaning literally, mix of life, a former public zoo in the city of Genk that Vanmechelen is transforming into a living laboratory where culture, nature and humanity find a new more sustainable balance.